The Lancaster Centre is a community resource centre which opened in december 2003. We offer fully accessible office space for four resident organisations and rooms for hire by other voluntary organisations to provide outreach and drop-in services from. Victim Support Enfield is a local voluntary charity affiliated to a national organisation that has been in existence for 25 years. In Enfield we have been helping victims of crime and their families for 15 years. Enfield Women’s Centre is a charity working for women and their families in the London Borough of Enfield. We try to help women achieve their potential through a range of services including counselling, training, health, exercise and fun activities. 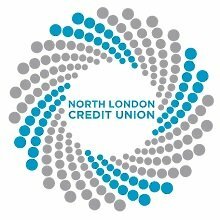 NLCU has proudly served the residents of Enfield and North London for over 20 years, providing ethically managed finance, including fair loans, secure savings and a current account alternative. We are a not-for-profit financial cooperative, run & controlled by our members. Authorised by the Prudential Regulation Authority and regulated by the Financial Conduct Authority & the Prudential Regulation Authority. We are covered by the Financial Services Compensation Scheme (FSCS). We work for the whole of the community, believing that everyone should have a choice of financial providers and products suitable for their needs, regardless of background or income level. We recognise that some sections of the community are more likely to be financially excluded than others and our long-term goal is to reduce the gap in provision. We do this by offering a good range of products & services and financial education where appropriate.